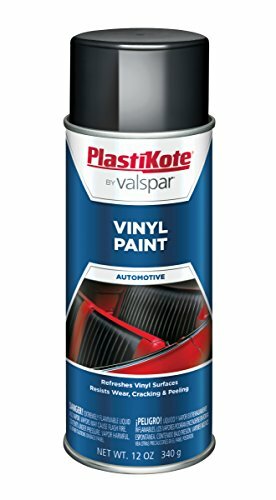 Plasti-Kote's Vinyl Paint adds fresh new color, life and beauty to your vinyl surfaces. This unique formula actually fuses to the original vinyl surface and forms a permanent bond, while remaining flexibile so the paint that won't crack, chip, chalk, peel or rub off. Perfect for use on car seats, dashboards and door panels, this paint stands up to the roughest wear and tear for years. If you have any questions about this product by PlastiKote, contact us by completing and submitting the form below. If you are looking for a specif part number, please include it with your message.